If your Hashimoto’s hypothyroidism condition is not properly managed, you may be at risk for more devastation from a brain injury. Hashimoto’s is an autoimmune disease and managing the immune condition is important to protect your brain. People with Hashimoto’s hypothyroidism often complain of brain fog and may suffer from brain inflammation. Sufficient thyroid activity is necessary to keep brain inflammation under control, making the person with hypothyroidism more prone to brain inflammation. These factors also make it difficult to manage Hashimoto’s hypothyroidism and should be addressed for good thyroid function, too. 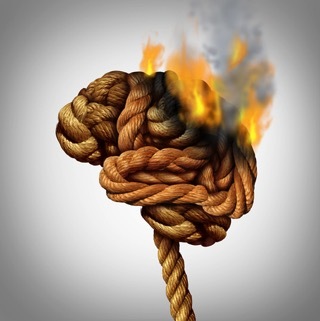 If you have Hashimoto’s hypothyroidism but are not managing the underlying autoimmune condition, you may suffer from brain inflammation and be at risk for increased devastation from a brain injury. For the person with Hashimoto’s hypothyroidism, a strict gluten-free diet is also essential. You may also need to follow the autoimmune diet. Ask my office for additional strategies to support your brain health, manage your Hashimoto’s hypothyroidism, or to improve recovery after a brain injury.